It seems like such a small thing, doesn’t it? Aren’t most of taught, from our earliest days, to say thank you? To be grateful? It’s not that easy, though. And it’s more important than we had ever imagined. As we gather, this week, for a national day of gratitude, tucking into our turkey (or turkey substitute), it’s worth noting that not only have the vast majority of spiritual and religious traditions long endorsed the significant benefits of gratitude, but Forbes magazine, of all places, has also come aboard, recognizing seven scientifically proven benefits of gratitude, including health benefits, better sleep, and greater mental strength. And if Forbes has been writing about it, there must be something to it, right? If you don’t already have a practice for gratitude, why don’t you try this with me: this weekend, before you dig in, take a moment to really experience gratitude, to give thanks (even silently) for the good things in your life. One thing that I’m thankful for (and I’m sure I’ve said it before), is that every month I get to spend some virtual time with some of Canada’s finest independent booksellers. I spent more than two decades of my life on the weary side of retail, and this column allows me to keep in touch with a part of my life I miss more than I was expecting to. Plus, they always recommend such great books. As the days turn colder there is no better way to heat up the house than with an oven full of fresh baked goods. 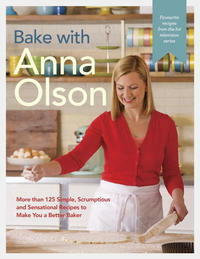 Anna Olson presents more than 125 simple, scrumptious, and sensational recipes to make you a better baker. From cookies, pies, and cakes to fancier edible decor, Olson offers up easy-to-follow instructions with mouthwatering photographs. Her book is full of tips on mastering essential techniques, and you are certain to be a better baker by the time you’ve worked your way through the book. I’m eternally thankful that I found Penny and her Chief Inspector Armand Gamache, and the village of Three Pines. Not only does Penny give us a classic British-style whodunnit, but she manages to do so with a uniquely Québécois flavour. While Three Pines may be one of the most deadly small towns in Canada, there’s also a certain charm to it that continues to captivate readers. There are even recipes and notes from the author on where to travel to experience your own version (murder free, of course). The best part? 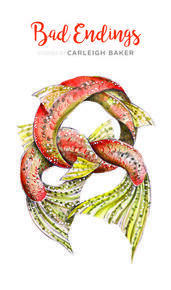 The many other books in the series that follow this one, and throughout them all, Gamache continues to grow as a character that we have come to love and to respect. There's never a better time to read a scary book than the early autumn when wind clatters through bare branches and the darkness comes early. 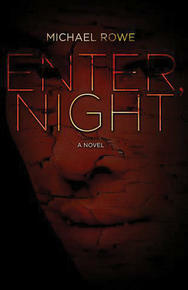 Rowe's Enter, Night, one of my favourite Canadian horror novels, is the book that made vampires scary again. 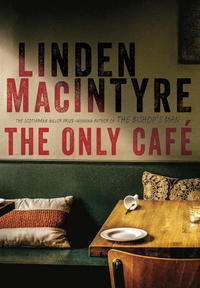 Linden MacIntyre has mined his other life, as a venerable CBC journalist, to pen The Only Café, and the novel works wonderfully. Paul Cormier has largely buried his past. He's a lawyer for a Canadian mining conglomerate, and a man given to keeping secrets. Five years after his disappearance, Paul is finally confirmed dead and his son Cyril, a TV news stringer pulls at some loose threads around his dad's life. The result is an enigmatic line in Paul's will that leads to an East End bar that no one knew Paul ever frequented. From there Paul's early life in Lebanon intersects with Ari, a solitary regular at the bar from which the book takes its title. 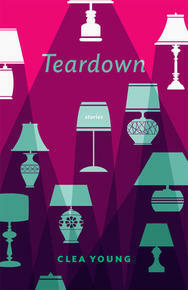 The result is a twisty, literate thriller that ranks among the most enjoyable novels I've read this year. International intrigue, masterful storytelling and a sure hand make The Only Café a compelling read. 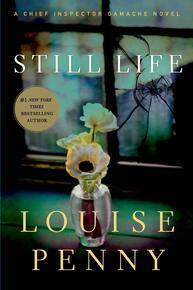 I'm thankful that there are new, vibrant, and exciting voices writing short stories in Canada. 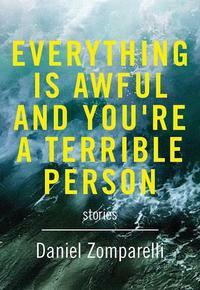 Dina del Bucchia's Don't Tell Me What To Do, Carleigh Baker's Bad Endings, Daniel Zomparelli's Everything Is Awful And You're A Terrible Person, and Clea Young's Teardown are four outstanding books that have come out in the last year by Vancouver authors. Each book is unique and engaging and every story is a page-turner—in turns bitingly funny, unflinchingly honest, deeply emotional—these books cover it all. 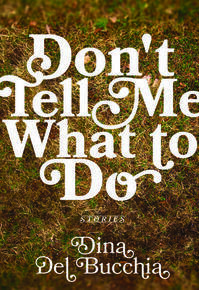 These are the first short story collections by these authors and I can't wait for their next books.